- identification of promising objects by zooming and detailing. - localization of promising investment objects within the oil and gas production areas, regions or administrative units (provinces, districts). 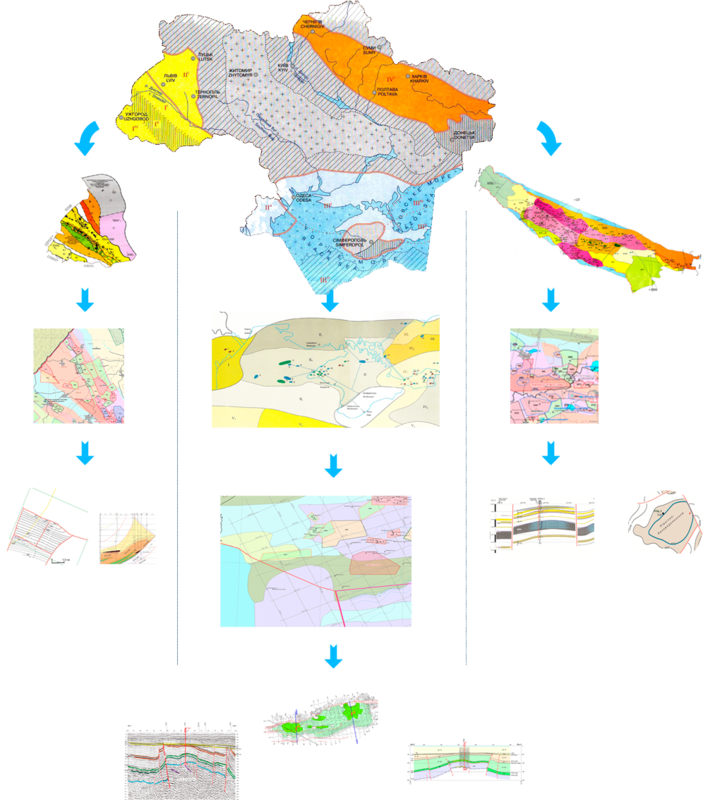 - preliminary economic and geological assessment, determination of hydrocarbon resources potential, determination of estimated technological and economic indicators at a different stages of subsoil use. - defining investment attractiveness and assessment of potential risks at all stages of development. Determining the assessment reliability degree of the hydrocarbon resources, infrastructure and logistics properties of the district of object location.